We fully assess the accident damage and provide free estimates. Our Mercedes Benz approved body shop not only works with Mercedes Benz, but all prestige vehicles. 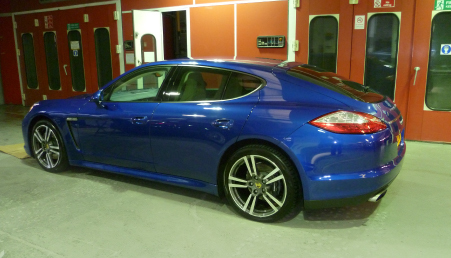 At our state of the art fully equipped bodyshop we can take care of all your vehicles needs. We ONLY use genuine parts and high quality materials during the repair process. The quality in our workmanship is never compromised. After each repair, every vehicle is quality checked and we provide a full complementary valet giving all vehicles a factory finish. With our 30 years of Mercedes Benz approval we have focused on maintaining the highest possible level of quality. The bodyshop uses the latest equipment and latest paint technology including an aluminium repair area. 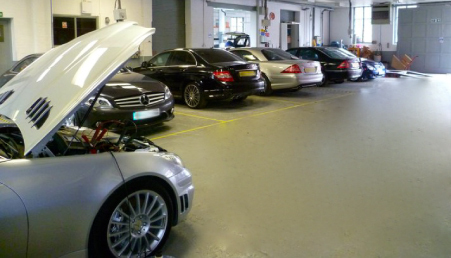 The aluminium repair area is a purpose built, contamination free zone that allows us to repair aluminium vehicles back to a manufactures standard. We endeavour to keep you informed throughout the entire repair process.